Part 4: Works by Vasily Zhukovsky. Opyty V Prose. 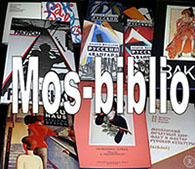 M., S.Selivanovsky Printing House, 1818, , 234 pages. 2. The book plate on all 4 front endleaves and the signet on all titles appear as : Aristyun Vasilievich Myasnov. 3. A gothic ligature impression of his daughter’s name: Elizaveta Aristionovna Myasnova. Collection copy! Rarity! Smirnov-Sokolsky, Kilgur and Lesman do not have it! To sing about the Creator, friends, love and happiness.